Shaped as a diamond with an open patella hole, the Elasto-Gel Knee Wrap will help with a number of conditions. The wrap is held in place with a hook and loop-type closure, which allows the user the ability to move about while undergoing therapy. Available in 2 sizes, to comfortably help everyone feel better. If used as a cold therapy wrap, the knee will benefit with a reduction in swelling and inflammation. The appropriate time to use the Elasto-Gel Knee Wrap as crypto therapy is for acute pain like a sprain, strain or immediately after an injury. Use after an intense workout will also give benefits of reducing pain and muscle spasms. The wrap will stay cold for 20-40 minutes, giving ample time for cold therapy. However, if used as a hot therapy wrap, the knee, and surrounding areas will benefit with increased circulation and reduced soreness or stiffness. Heat therapy would help with reoccurring pain like arthritis, old injuries or even Lupus. This wrap is great! It’s light weight, reasonably sized, and holds temperature for a long time. It comes with a convenient bag for storage to prevent your wrap from becoming wet. The Velcro straps allow you to fit your wrap as loose or tight as you prefer. I am very pleased with this purchase and I’m sure it will last a long time! It wraps completely around the knee and that is great. But it is too heavy to travel with. These work great when you have tomice your knees???????? It works great and stays cold for a long time. It also stays in place. Good value. Haven’t used it . . . . yet. Surgery coming, and a friend suggested your product because she used it after her surgery and it worked great. Excellent wrap, very pliable, stays cold for at least 20 minutes and freezes very quickly. Soft and flexible and cool. This wrap does the job. It stays on so well, my husband can walk around with it on his knee. It stays cold about 10-15 minutes then needs to go back in the freezer. A convenient way to ice the knee! Great for knee replacement patients! This stays cold for about 10 minutes, at best. Takes a while to refreeze. Everything else in the freezer was frozen solid so I know that freezer was OK. The product was disappointing, especially at the price. I would not recommend it. not entirely sure it knee wrap was cold enough. It was kept in the freezer for at least two hours between applications but did not feel cold enough. So disappointed in this item. I have other Elasto-Gel products that work great but this one was an epic failure. It is large and should work well for any size knee, smaller knees may have to double it around the leg, but that would be great at keeping it cold longer. It’s a large flat gel pad with velcro straps shaped to fit the knee area. I think because of its large flat surface it allows the coldness of it to reach room temperature in about 15 minutes. Coming straight from the freezer I felt like it should stay much colder for longer than it did. Maybe it was a defective one because my other Elasto products do stay really cold for up to 45 minutes and then they still have a coolness to them. I tried to exchange it but the seller wasn’t interested in that so I just returned it. I have the foot gel pack and I’m just using that around my knee and it works great. Best ice pack. Easy to use and confortable. This items has worked great for me. My knees sometime bother me from BJJ or squatting and this helps take the edge off. I would highly recommend this to anyone whose knees tend to bother them. “For context, I used this after my fourth knee surgery on the same knee. I wish they could stay cold longer and gave an easier way of securing them with the Velcro . Maybe two shorter straps on each end?? This is amazing. My husband had his knee replaced. They used this in therapy after he exercised. We bought this to help him at home after he exercised. He loved it. Works great. used when recovering from total knee replacement. Nice that it fit securely around the knee, but it cooled down to quickly. It doesn’t stay cold very long. Would not have bought it if I knew that. “After bilateral knee replacements, i purchased these because i spent so much of my day trying to make my homemade ice packs work. I was disappointed that these don’t get very cold and also don’t stay cold. I have gone back to my homemade packs. Also, the straps on these things are LONG. They get in the way, get stuck to the pack and are hard to wrap around the leg because they are so long. This product is fast and easy to use. Better than ice. No mess and no fuss. Elastic Velcro straps are a brilliant idea and easily hold it where you want it. Simply put it on sit back and enjoy the intended benefits of icing. “These are very nice; they work well and stay warm for quite a while. They are soft, easy to use, and comfortable. The Therapy Clinic I went to uses this brand so I decided to get some for myself to use at home since they were so nice. ?? They heat up quickly in the microwave. Doesn’t take very long to heat them, so be careful not to overheat. I put two knee wraps (which I use for my shoulders and back and they work quite well for that) into the microwave at the same time and they fit well because we have a large one so I don’t have to fold them in half or anything. You can fold them though if you need to. The first side I do for 90 seconds and the next side 80-85 seconds. We have an old 700 watt microwave so it will vary for newer ones. As others have said, if you attach the velcro to the fabric itself to keep them in place it will make the fabric pill and it won’t look as pretty and might eventually tear it (my feeling), so I try not to do that. I did it once and I decided not to any more if I can help it. I also attached the two velcro straps to each other so they don’t stick to the fabric by accident which happens quite easily. 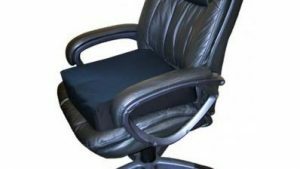 The straps can be handy to have since you can wrap them around yourself if you’re sitting in a chair and it will stay in place better. That’s why I haven’t cut them off. This is the Cadillac of wraps. This wrap gives you all around contact, in my case it is my knee. After therapy, there is nothing like iceing down the whole knee, rather than just the top or underside. Easy to use,, very pliable and fits snug around the knee. Love this wrap! The x-large is big enough to cover the entire knee and stays wrapped around the knee. LOVE this ice pack! I have a torn meniscus, and first encountered this at my PT appointments. I talked to my physical therapist about what brand they used, ordered this one and haven’t regretted my choice at all. It has a heavier weight than normal ice packs, is completely flexible, and the straps help keep it tight to the knee. love it. Excellent product! I was looking for something large enough to fit over my husband’s leg cast and this one wrapped completely around, giving him pain relief on every side of his knee. It stays cold for a good long time, and was cold enough for him to feel it through his cast. It does take a while to get cold, so I would suggest buying more than one. The velcro straps keep it in place nicely. I highly recommend this product. I had this in my freezer for almost 3 weeks, when I put it on the coolness lasted lest than 10 minutes. Gel stays cold. Unit is comfortable to have on body. Ad picture seems to suggest the guy is ready to walk. This unit cannot be strapped to a limb so you can move around. It wlll slide off. 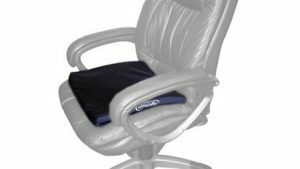 Great for sitting and icing. Velcro straps are attached so no need to look for them when you want to ice. “There are many pros to this knee wrap. It is hands-down the most comfortable wrap I’ve come across and the straps hold it in place very, very well. Also, like most Elasto-Gel products, no matter how cold it is, it doesn’t feel really cold when it touches your skin, which is a nice feature. This is a wonderful wrap. Easy to use and so nice that it can be used both hot and cold. I had an old least-gel knee wrap that is still great and decided to order another one so I would always have one cold after my knee replacement surgery. I was disappointed with the new one. There is a cut out hole in the center and the wrap is tapered. I think these changes were meant to make it fit better, however they just reduce coverage. I like the old one better. But they are still the best cold wrap you can find! I love this product! Very easy to use and stays cold about 20 minutes. My only question is why is there a patella hole cut out of the gel? When I used it after TKR surgery, I wanted to ice the knee cap as well. I don’t understand. This is my third purchase of these (different sizes, different invididuals). They are an excellent kneee wrap that are used after basketball/sports. Always keep a set in the freezer for quick use. Very comfortable to use. Conforms to the body. Love it. I was very disappointed that the description did not indicate a hole (fabric covered which hides the hole) over the knee cap. i had surgery and needed the ice directly on my knee cap. When my husband tried to return it, it was not returnable. Not happy! On-time, looks good. Fortunately I haven’t had to use this, but it’s in the freezer ready to go. These are awesome!! They use these where I take physical therapy – I love the soft cooling gel on my knees. They are very comfortable and work great to soothe aches & pains associated with injury, overuse, etc. Great ice pack for the knee! Bought this after knee surgery and PT. Works great, have had it for several years. Now it seems he gel is seeping through the lining, sticky and wet always. I have to lay it out flat but still lumpy and out of shape with cover off to dry before putting in plastic bag and re-freezing. Time for a new one? details say 9 x 24 when in reality it’s closer to 9 x 4 and is not as seen in the picture. it is diamond shape with a hole in the middle. Excellent! Easy to use and reuse! Easy to apply to my surgical knee. “I had bilateral knee replacement, and my physical therapist uses this brand. Other reviewers are correct when they say that the Velcro snags on the fabric, and that the cold lasts approximately 20 minutes. So I dont use the Velcro, I just wrap the pack around my knee snugly. Its long enough that it stays put while sitting. And my therapist says that 10-20 minutes of icing is all thats needed. I love the immediate coldness that they offer, and am more motivated to use these than the large stiff ice packs that the hospital gave me to take home. I used this after my knee surgery. It was great because it’s small and has Velcro. It doesn’t really stay cold for all that long though. So if you need something you can lie on the couch with for an hour and still be cold go ahead and just get regular gel style ice packs and a ace bandage. If you can find the clear gel with the little floating balls in it … that is the coldest ice pack I’ve ever used. It’s a beast, but it really works well. I previously had a cheaper ‘doughnut ‘ gel where the plastic split and the insides started leaking. I don’t see that happening with this one. It fits great but does not stay cold very long- def. not more than 20 min. does the job for me,had a total knee replacement , helped a lot with swelling and pain. “liked how malleable the cooling/hating center is, but the fabric that surrounds it is flimsy and highly impacted but the velcro with pulls and snags. This wrap stays cold for about 10 minutes after being stored in the freezer for seceral hours. 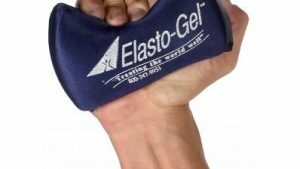 I have used an Elasto-Gel wrap at physical therapy and wanted one for myself. This was very disappointing. Perfect size, weight and coldness. Only thing is I would like it to remain cold a little longer. I used after knee replacement surgery! I wish I had purchased 2 of these, so one could cool while I used one. The elastic velcro holds it exactly where it is needed. I can even walk while wearing it. These are very convenient to use. After having total left knee replacement, the gel ice pac was exactly what I needed for swelling and pain. Well worth the money if you’ve been shopping around. This is what the largest, local orthopedic clinic uses. Doesn’t stay as cold as the other ones I bought in the past but it still does the trick well! Does not stay cold more than 1 hours. Overall good product. Wish it stayed colder longer but seems of very high quality. Allows for some mobility while wearing so you aren’t stuck in one place the whole time. Comfortable. It was recommended to me by my physical therapist. I love it, stays cold and is comfortable after my knee surgery. This is so great for my bad knee! It wraps completely around the whole knee like it says! Really grwat!! Used it after knee replacement. Fit great, worked great. feels good. good coverage. but is only good for about 45 minutes. that’s a 15 on, 15 off and 15 on. i wish it would last a bit longer. Very easy to use. Works hot or cold. I have used daily for 6 weeks and it works great. Much less of a hassle than using ice. I received this as a gift from my daughter after knee replacement surgery a year ago. I had a lot of swelling and a slow recovery but this wrap worked like magic. I keep it in my kitchen freezer and after a hard workout or a long walk, I wrap my knee for about 20 minutes. I’ve been using it for a full year and it still looks like new and works like the first day. Great product! Did not seem to cool down skin consistently, no matter what position we tried. Always cooler on the back of my knee. Heavy, soft, malleable, comfortable, …the Cadillac of cold wraps! I bought two so I’d always have one ready. More effective alone than my 8 previous cold wraps/packs put together. Learned about these cold wraps in physical therapy, was really missing out all these years wrestling with other types of gel wraps, unbelievable comfortable! Wish I had rwo more. Excellent product at a great price. I’ve pleased with the purchase. My husband is using this for rehabbing his knee after TKR. He loves it. Says it’s much more comfortable than the ice pack & thermos set up the hospital gave him. It wraps completely around so provides more relief. Yes it does last about 20 minutes which is about as much as you want at a time. He uses it 3 times a day and has had no problem with cooling it down. Cools even faster if you lay it flat. The next TKR is coming up next month and he’s glad we bought this. I tried this on in my therapist’s office. I loved it. Now I have my own to use every day, not just on PT visits. “These are a bit on the expensive side, but well worth every penny. We have 6 of them in several different shapes. I reccomend purchasing at least two if you are post op or in need of daily icing. It takes a bit to refreeze them. Probably the most versatile shape is the “”H”” shaped one for shoulders. I like to fold it in half for my knee. With a double layer, it lasts a lot longer. Great wrap, this is a great way to ice your knee. This is a great durabel product! Thanks to my physical thoropery assistance I found out this was available on Amonzon?? Works as well as expected. Sufficiently cold for after-PT “icing” following knee replacement. Does the job helping my aching knees.. This product was used at the place wear I did my Physical Therapy to cool down my knee after a workout. It worked wonders, helped with swelling and made it feel better. I liked the velcro straps that would allow an adjustable fit. 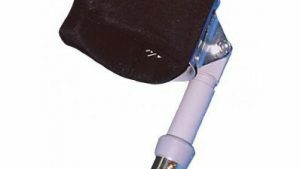 FYI – It is designed to be used while the leg is elevated, and it will fall off if you try to walk with it on. It is very good. Wish it was thicker. I ordered specifically to help after knee replacement surgery; my physical therapist recommended this brand. I also got another wrap, same brand, without the knee “hole”. Both did an excellent job keeping the swelling in check while I recovered, through lots of physical therapy. I also use to help with lower back pain. I have not used them as “hot” packs yet, just as cold. I keep them in the freezer. Perfect for post surgery needs…and more. Did not get as cold as expected, and started leaking a sticky blue gel. Made it so could not use it. I had complete knee replacement and these ‘ice packs’ were invaluable – still are. The only complaint I have is that the velcro straps ‘velcro’ to everything, get tangled with each other, and make a lot of noise in the middle of the night. But, overall – a great product and they have certainly helped me with ‘icing and elevation.’ thank you!! Finally started physical therapy after 12 weeks non-weight bearing for a fractured tibial plateau. This hot/cold knee wrap works perfectly and feels wonderful when my leg is swollen after being on it too much. I highly recommend this product. My mom had knee replacement surgery and was in a whole lot of pain but couldn’t tolerate the opiate meds. We got several different ice packs, but they were either smaller or didn’t stay cold as long. This is a great thing it wraps around the knee and even has a hole for the kneecap, and it feels great to have on. “This wrap rocks!! It’s big! I’m 6’4 230 and it’s nicely wrapped on my knee. Plenty big enough. Stays cold for a pretty long time. Very nice.good for long term use. Really great for aches and pains. I have a bad knee, age and injury related. 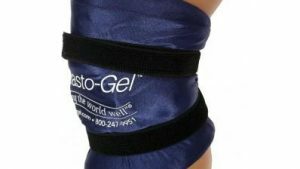 I use the Elasto-Gel cold at night to wrap my knee. 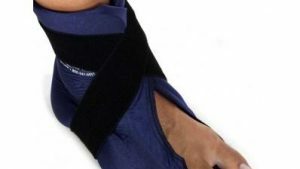 Fits well, is comfortable and provides relief from pain and swelling. Was recommended by my physical therapists who use it at their therapeutic facility. “This is a good product and gives complete coverage of your knee…back and front. My only issue is it does not get “”freezer”” cold. Works extremely well. surpasses my expectations. Good and flexible. Stays cold for about 20 minutes and cool for another 10-15. Great product. Got it because I was using it at PT and the experts recommended it. Good capacity and easy to use / store. Just purchased and have used several times. This is perfect if you have a knee injury requiring “ice-ing” daily. Stays cold for quite some time. Be sure to read and follow the directions – don’t throw away your clear plastic bag as you need to be sure not to get the wrap wet. I had a total knee replacement and the elasto gel wrap was the best ice wrap I could have used. It made icing my leg so much easier and more comfortable. I actually bought two knee wraps and a foot wrap for the swelling. This product for me was the best. Very happy! I have a large knee from injuries and arithritis and am very happy this wrap fits without a problem. Love the convenience of grapping out of the freezer and icing with no special prep. I was very satisfied with the product it seemed to say cold for a long time. Recommended for knees and ankles and hands. Appears well made, but regardless of how long it was left in the freezer that freezes everything else solid, the “gel” never got very cold, and certainly not anywhere near what you want if you are looking to “ice” your knee. I was concerned when I took it out of the box that the material inside the wrap felt way too solid and not enough gel-like, and unfortunately, my fear was confirmed. Great wrap. I had knee replacement and worked great after exercise. Haven’t used the heat option yet but would order again. Did not get as cold as expected and doesn’t stay cold for long. Disappointed! I absolutely love this item. Thank you so much. The elasto-gel knee wrap was/is terrific. 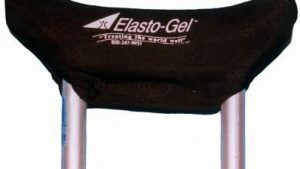 I had arthroscopic knee surgery and used the elastogel frequently postoperatively for icing my knee. It gets cold quickly in the freezer and that coldness lasts @ 20 minutes. It wraps securely around my knee,held in place with two Velcro straps, much better than using ice packs, and is quite comfortable. Now that I am about a month out from the surgery, I use the elasto-gel wrap for heat treatments. 60-70 seconds in the microwave and it give soothing heat treatments; again the heat lasts for @20 minutes. 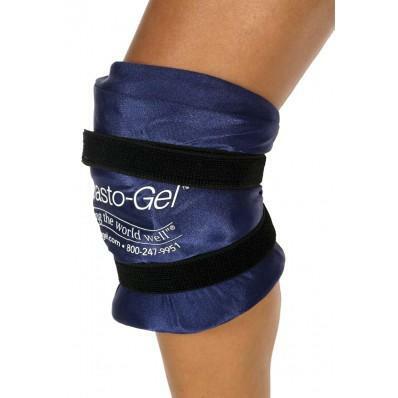 I wholeheartedly recommend the elasto-gel wrap to anyone who needs either ice or heat treatments to their knee. Used it cold for a fracture and then hot (in the microwave) for a sore shoulder. It’s great! Perfect for my knee and I like the versatility of the product. It works very well on the knee and stays cold about 20 minutes. Too heavy. Clumsy, moves when you’re wearing it. Awkward. The Coldness does not last long. Bought this for my husband to deal with some ongoing knee issues. He loves it. He really wanted something that was focused on the knee. We have the one for the ankle and love that one too. Works great using it as I type, ankle weights are perfect, they will help me prepare for knee replacement. I like this a lot. It is just like the ones at physical therapy, but there is a knee hole cut out in the gel. Other than that its great. This is a great product to have if you have big legs. It wraps all around with no problem. Not only you can use on your leg but you can use any part of the body that hurts. Best knee wrap ever! Covers the entire knee and then some, incredibly flexible and just the right amount of cold. Doesn’t burn bare skin but still delivers great cold therapy. Can’t speak to the heat aspect as I only use it for ice. Works very well but the cold does not last as long as I would like. Very comfortable, but doesn’t get cold enough or stay cold for very long. Wouldn’t buy again. The size is good. The quality of the fabric is poor. The insides shift around a lot. If this is for occasional use, it would be okay. I was looking for something similar to what they use at pt, which is much sturdier. I would not buy this brand again. does not stay cold for more than 30 minutes at a time. Very heavy, will not work for all of the applications I wanted. Very good for icing my knee after replacement surgery. Recommended by my physical therapist. These wraps were great for my boyfriend that had a double knee replacement. Very happy with them! worked great after having total knee replacement but doesnt stay hot or cold for very long. Was recommended by the PT and worked to full expectations. “I had both knees replaced and this worked great to reduce swelling. Chills fast, velcro straps easy to use. This worked great for my husband after knee surgery. Excellent coverage! It has an opening for the petal, which gives it a custom fit. There is a Basic Model that is similar, but without the petal opening. Perfect for my use. Fits my knee perfectly. Stay cold for a long time. There is no way to keep the blue material encasing the cold gel wrap nice, free of “picks and pulls” … as the Velcro straps constantly catch and pull the material. Otherwise, I would LOVE this cold wrap. I like things to stay “clean” and it is just impossible with this design, I think. I have the elasto-gel boot for my foot- it’s awesome! Everything about it is AWESOME! This item, the fabric on the outside isn’t made nearly as well, snags super easy. Very disappointed. Good product – hard to get really cold though. Used this wrap in therapy after a knee replacement. Works quickly to reduce swelling. It is better to use for a short time versus extended time. My husband loves it. He has problems with his knee and this has helped. This is the best cold pac we have ever had and it has gotten it’s use after knee replacement surgery. Very practical and a good quality product. It can also be used on different parts of the body. My daughter dislocated her knee last year and my mom has had both knees replaced recently. We ordered these knee wraps (1 for my daughter and 1 for my mom) because they are the same used by their physical therapist. Best wrap I have ever used, knee cup and strong straps provide a secure fit which surrounds the knee in an evenly applied cold relief. Dast Delivery and product works very well after my dad’s knee surgiries. Its a cold pack- you freeze it and apply it, not too complicated,.. Generously sized, malleable, and holds cold for about 20-25 min. The straps are a bit long and do present a bit of tangling when applying the pack. Gives compression & stays cold. I’ve purchased several other cold wraps and this brand is by far the best I’ve ever had. It stays cold for a long period of time and is pliable from the moment you take it out of the freezer. I love this brand so much I’ve also purchased the shoulder wrap. Would absolutely recommend. This product is fantastic. Very soft, flexible and comfortable. Truly brings relief and stays in place. No lumps, hard frozen edges when used for ice therapy. It works very well when heated. Has been used for post knee replacement surgery, sciatica pain, over-doing it in the yard. Only wish I’d had this for a whiplash a few years ago. Very durable. perfect for bad knees — nice snug fit – stays cold for 30 mins of icing. A winner! I love my knee wrap. I bought one years ago from my physical therapist. I was so happy that this is exactly what I was looking for. I believe every household should have one in the freezer. They are so versatile you can use it for any body part. Exactly what I was looking for in a cold wrap. Covers entire knee and stays cold long enough to do the job. Velcro closure works well and you can walk around with wrap on knee. Highly recommend. This is the best one I have found! It is large enough to cover the knee area, above, below, top and bottom! I am glad I ordered it. Stays cold, soft jell, conforms to knee. Elasto-gel works well as a cold wrap, but not so much as a heat wrap. I used a microwave to heat it, which I found was adequate. The gel will get very hot, in fact…too hot to use directly on skin. Using a towel between skin and Elasto-gel, however, reduced the effects significantly. I found a duration of heating that worked well and didn’t burn…but the warmth only lasted about 10 minutes. The beauty of the cold wrap is it’s pleasant to use directly on the skin, even straight out of the freezer. The wrap’s flexibility makes it perfect for a knee wrap, since you can maximize joint coverage. Love it!! Great for post work outs and makes recovery easier. 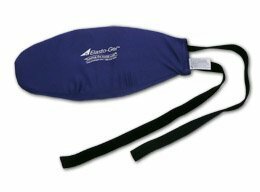 “This is the exact same cold therapy wrap that is used at the Physical Therapy clinic. Its good for about 20 minutes, which is really all that is needed. It has been wonderful to use during my recent knee rehab. Just don’t get it wet and then try to freeze it again. They keep the ones at PT in plastic bags to avoid this issue. Why spend the money on this product instead of using the $10 gel ice pack from your local sports store? This wrap is flexible, really flexible, doesn’t sweat as it warms up, doesn’t require an additional towel to use, doesn’t require an elastic wrap to keep it on, won’t burn your skin with direct contact and is large enough to wrap all the way around your knee so you can ice the back of the joint where fluid collects and swelling occurs. 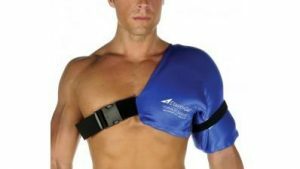 It is so much easier to use than an ice bag, gel ice pack or cold therapy unit you will find yourself actually icing more often which is a good thing. “This is a hard review to write because I have such mixed feelings about the wraps. I got them because I was having knee surgery. They appeared to be what I needed, but in the beginning when my knee needed them the most, I couldn’t chill them quickly enough. They only stayed cold for 15 minutes and took at least a couple of hours to rechill. I’d gotten three of them but had to supplement with plastic bags filled with a 50-50 alcohol/water frozen slush recommended by my physical therapist. doesnt stay cold very long, but easy to put on. I appreciate that this wrap covers my entire knee; however, it doesn’t get cold enough or stay cold long enough to really be helpful in rehabilitating a knee injury. Works really well. Only con is the Velcro tends to catch on the cloth surrounding the gel pack. Now it looks well worn do to the pilling on the surface of the cloth from the Velcro being caught over and over again. Otherwise, generous size with much cool or hot therapy surrounding your knee. Nice product and would buy again, if needed. Recommended by my physical therapist for knee swelling for osteoarthritis. Holds a cold temperature for about 30 minutes. Straps keep it in place well. Loved it so much I bought two, one for each knee. I purchased this for my pops who had knee surgery. I loves it. Great for tired knees after a long run! These worked out great. After Mom’s knee replacement surgery this was one of the best things we had for her. Has a gap at the center of the knee that has no cooling gel. They do say it in the description, but why would I not want to cool my actual knee center with a knee wrap?!?! Wonderful way to soothe those swollen joints. The Velcro is a pain and gets stuck onto the fabric case too often, but not a very big deal compared to the relief I get from the gel wraps. I love the flexibility of the wraps and the amount of time they stay cold seems perfect to me ( 20 plus minutes). I used to leave refreezable icy wraps from Walmart on too long and my knees would turn red, but these don’t stay cold that long. I’m trying to save the plastic zip bags they came in for reuse, but I have to battle my husband every time–even tho the bags are clearly marked not to throw them out. The wraps are pretty large and take up a fair amount of freezer space, but I wouldn’t trade it for more frozen veggies! Slightly smaller than I was expecting. Just does not stay cold enough for me. Seems to warm up quickly, even after being in the freezer overnight. Then takes hours and hours to get back to cold. If you only need it for single use right after a small injury it would work ok, but if you’re rehabbing a knee and need to repeatedly ice it down, this will not work for you. This products works GREAT!!! I highly recommend it!! What I received was not a xtra large. I purchased a xtra large 6 months ago and it was much bigger. This was a case of bait and switch. My PT used this wrap on my knees. I bought two for at home. I love how it is just the right temperature. Beat ice pack! Really atays cold, great coverage and atays in place. Very comfortable to have on as well. These are perfect for their purpose. 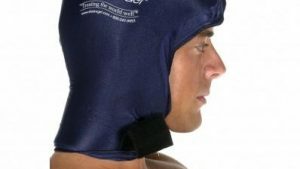 High professional qualtiy, easy to put on and take off. They get really cold in my freezer. I can’t tolerate them on bare skin. I use a sock on my foot and a towel on my knee. The large knee pad is really large, and so is the foot. It more than met our expectations. My husband had a full knee replacement and he’s used it over and over. Fits the knee nicely and you can walk around with it. Others we’ve tried slipped down the knee. It’s flexible and stays cold for at least 20/25 min. This is the best knee wrap ever. Q Do you think I could also potentially use this on my back in addition to my knee? A They have a larger rectangular shaped one that works better for knee and back then just the knee one. I ended up buying one of each. Q For heat do you put it in the microwave or hot water? And for how long? A I use the microwave, based on the manufacturer's recommendation. I heat it for 60 seconds, then rotate it and heat it for another 60 seconds. Q How long does the pack maintain cold and how long does it take to refreeze? A Pack says cold about 20 minutes. I let mine in freezer for at least 4 hours before reuse. Q Does the wrap cover the entire knee with the feeling of ice? Some only cover the front.